WordPress has discontinued support for Internet Explorer 6 in its latest update. The company has explained that it has had to use increasingly complex code trickery to make the Dashboard work in IE6, and has finally decided that enough is enough. Logging into your Dashboard using IE6 will still be possible, but it will look pretty broken. Furthermore, a red alert box will provide you with a link to upgrade. Other outdated browser will result in an orange alert to let you know you need to upgrade, and will provide links for you to do so. There will also be a link to Browse Happy, a website which lists all the latest versions of each of the five main browsers. Two months ago, Microsoft launched an IE6 countdown website. The website details IE6's market share by country, updated on a monthly basis. Microsoft wants to celebrate as each country dips under the 1 percent mark. 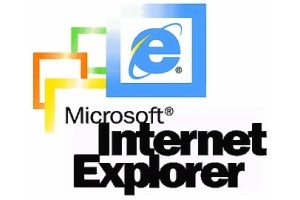 Internet Explorer 6 was released on August 27, 2001, shortly after the completion of Windows XP. On April 14, 2009, Microsoft retired Mainstream Support for XP, and with it, support for IE6. That said, Microsoft is not planning to retire Extended Support for the operating system until April 8, 2014. If the company ends up releasing XP SP4, it will retire support for SP3 (released in April 2008) two years later, or in April 2014, whichever comes first. In short, IE6 will continue to be officially supported by Microsoft for at least three more years. Despite the support options, Redmond still wants it to die.